The eighth hearing was held in the Vatican on Monday, October 9, 2017, of the trial for embezzlement of two former Directors of the Bambino Gesu Foundation, reported the Holy See Press Office. Today’s session was dedicated to hearing Mariella Enoc, current President of the Hospital — property of the Holy See –, and to the indictment on the part of the Vatican’s Promoter of Justice. The panel of Judges was made up of the President, Paolo Papanti-Pelletier, and Judges Venerando Marano and Carlo Bonzano. 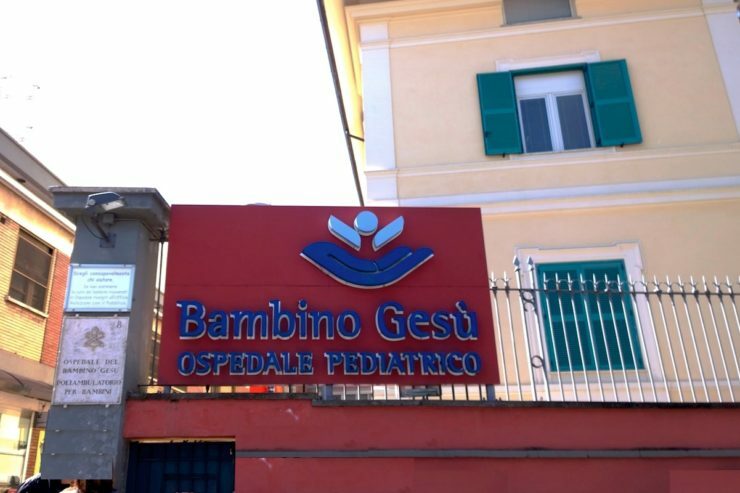 Both of the accused were present in the courtroom: Giuseppe Profiti and Massimo Spina, former President and former Treasurer, respectively, of the Foundation of the well-known pediatric hospital. The respective defense lawyers, Antonello Blasi for Giuseppe Profiti, and Alfredo Ottaviani for Massimo Spina, accompanied the accused. In the course of the session, the Deputy Promoter of Justice, Roberto Zannotti, pronounced an indictment, asking for three years imprisonment for Giuseppe Profiti, with a perpetual interdiction from holding public office and a fine equivalent to 5,000 euros. He asked for the acquittal of Massimo Spina for insufficient evidence. The hearing was adjourned to Saturday morning, October 14, 2017 at 9:30 am.